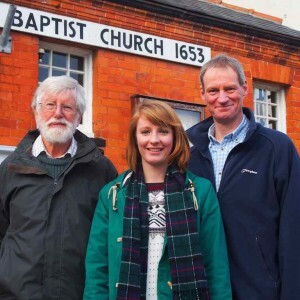 A humble Baptist church with a front-row view of England’s violent storms has scooped one of the first in a new set of environmental awards. Lyme Regis Baptist Church – in the town that saw gigantic waves smash into its seafront – is among the initial round of winners for A Rocha UK’s Eco Church award. The award scheme has attracted more than 100 registrations since being launched at St Paul’s Cathedral in London last month (January). St Paul’s was the first award winner. The Lyme Regis Baptist Church building is near The Cobb – the town’s ancient harbour that was highlighted in recent news coverage of extreme weather. Iconic images of angry seas led to dramatic headlines.